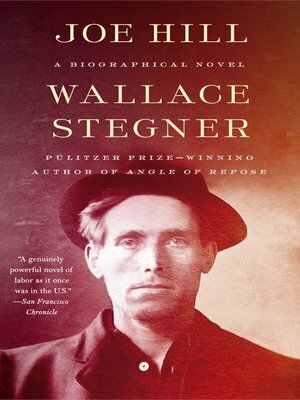 Blending fact with fiction in this masterful historical novel, National Book Award and Pulitzer Prize winner Wallace Stegner retells the story of Joe Hill—the Wobbly bard and labor activist who became the stuff of legend when, in 1915, he was executed for the alleged murder of a Salt Lake City businessman. Organizer, agitator, "Labor's Songster"—a rebel from the skin inwards, with an absolute faith in the One Big Union—Joe Hill fought tirelessly in the frequently violent battles between organized labor and industry. But though songs and stories still vaunt him, and his legend continues to inspire those who feel the injustices he fought against, Joe Hill may not have been a perfectly saintly crusader—and may have been motivated by impulses darker than the search for justice. Joe Hill is a full-bodied portrait of both the man and the myth: from his entrance into the short-lived Industrial Workers of the World union, the most militant organization in the history of American labor, to his trial, imprisonment, and final martyrdom. His famous last words: "Don't waste time mourning. Organize."